Barry Jung spent many a dollar at Ray’s Hot Dogs in Chicago’s Portage Park neighborhood growing up. He remembers as a boy having Vienna Beef hot dogs, tamales and other cheap eats at the neighborhood stand. The Oak Park resident was one of hundreds of people on hand Aug. 1 as Vienna Beef marked its 125th year as a Chicago institution with a free lunch, hot dog lecturers, and tours of the Vienna Beef History Museum. Jung said it wasn’t only Ray’s that fulfilled his hot dog hankerings growing up. He remembers people in his neighborhood selling hot dogs from in front of their homes. 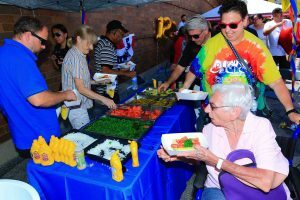 “I don’t know how they got away with it,” the 67-year-old former Portage Park resident said after having a couple of Chicago Dogs (no catsup, of course) at the Vienna celebration. Jung said he still has at least a hot dog a month, but is more likely these days to get his Vienna Franks from Jewel instead of a hot dog stand or cart. “Old habits die hard,” he laughed regarding his lifelong love of hot dogs. The hot dog business is alive and well, according to Mark Reitman, who has helped more than 1,300 people start their own hot dog stands and cart businesses. “I show them how it’s done,” said Reitman, who runs Vienna’s weekly Hot Dog University classes. Reitman remembers selling his first hot dog in 1955 at his dad’s establishment on the West Side of Chicago. Running Hot Dog University for 10 years now, the retired educator credits Vienna Beef with keeping him active in his retirement years. “Vienna Beef saved my life,” Reitman said of the program where he teaches stand and cart owners the ins and out of the business. “I show them how to go through the application process, how to get started, how to operate a cart or truck, how to do catering,” the Hot Dog U professor said. 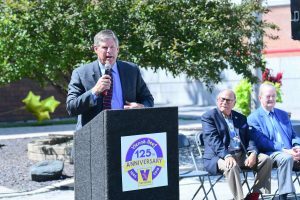 Tom McGlade, who has been with Vienna for 32 years, said the Hot Dog University program is a way for individuals to learn about the Vienna company and how to succeed in the food industry. McGlade, Vienna’s vice president of marketing/e-commerce, said it was “absolutely amazing” that the company has been part of Chicago for 125 years. Food historian Bruce Kraig got into hot dog research by accident but quickly became fascinated with the iconic food with ties to Chicago. He gave lectures on hot dogs at Oxford University in 1985 and 1987. He began researching the hot dog industry’s history and allure. 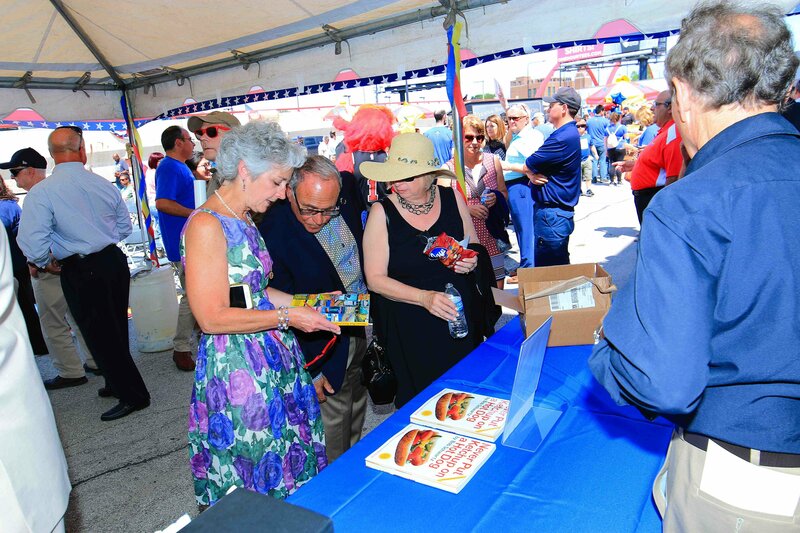 He has written two books on hot dogs’ long-standing attraction with Chicago residents. “Eighty percent of America’s meat in 1900 came from the Stockyards in Chicago. It is not surprising a cheap meat like hot dogs emerged as a staple,” Kraig said. Kraig said even though hot dog carts can be found on the streets of New York and Los Angeles, those cities don’t measure up to Chicago in terms of hot dogs. Kraig, a professor emeritus at Roosevelt University, said you can go back to Chicago literature of the 1880s and ’90s and find hot dog references. He said the ethnic roots of Chicago played a role in hot dogs emerging as a staple here. “Very poor families ate lots of hot dogs and it became big business,” Kraig said. 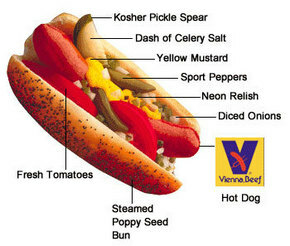 “Hot dogs are totally Chicago. Fellow food historian Bill Savage, an English professor at Northwestern University, said America, like today, was not as welcoming of immigrants in the 1880s and ’90s.